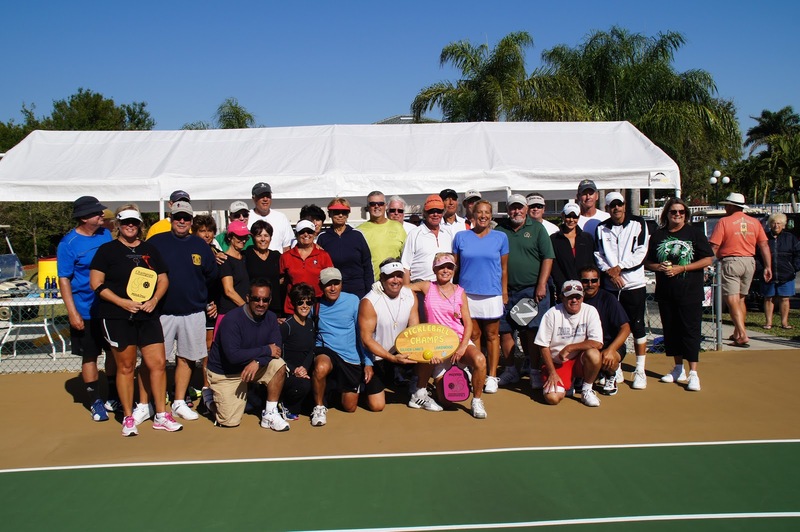 The First Annual Silver Lakes/Lakewood Country Club Challenge was held on March 27, 2013 at the Silver Lakes RV Resort and Golf Club located on Route 951 in Naples, FL. Thirty-two players competed in a special format arranged by Bob Helder and his wife Lynn. The games started as a round-robin for men and women separately and ended with a surprise twist of a mixed doubles event to compete for the travelling trophy. 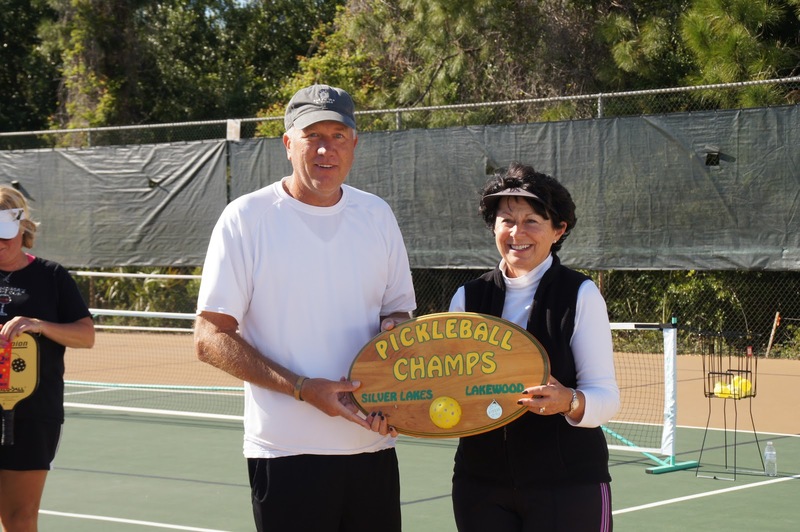 Special thanks to Jean Nevoraski, who hand crafted this incredible pickleball trophy that now resides in a prominent place in the Lakewood Country Club Fairway Room. Lakewood won the event by a narrow margin and now will get to keep the trophy at their club until next year when the teams vie again to take the prize home! The event was organized perfectly; the games kept going all afternoon and over 100 spectators were in attendance. Everyone had a great time. The competition was at a high level and new friendships were formed. According to the "grapevine," both clubs are working hard to improve their games to be ready for next year! !